if there is anything i don’t want this child to pick up from me, it’s my quick temper and sass. lately, she’s taken to carrying her camera with her everywhere she goes. snapping pretend photos of absolutely everything (even the floor. we call these photos her “ant” photos…) she often talks with her hands before she snaps the picture…as though she is ordering you to stand still, or move a little to the left. apparently, she must have an annoying blogging mama as her mother. i caught a bit on video if you’d like to see. 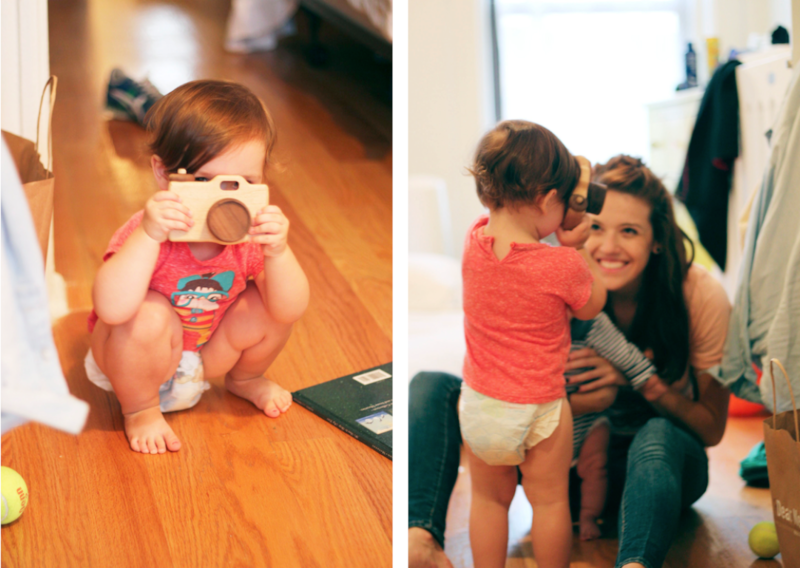 and below, eleanor taking a photo of her aunt hannah and baby brother. 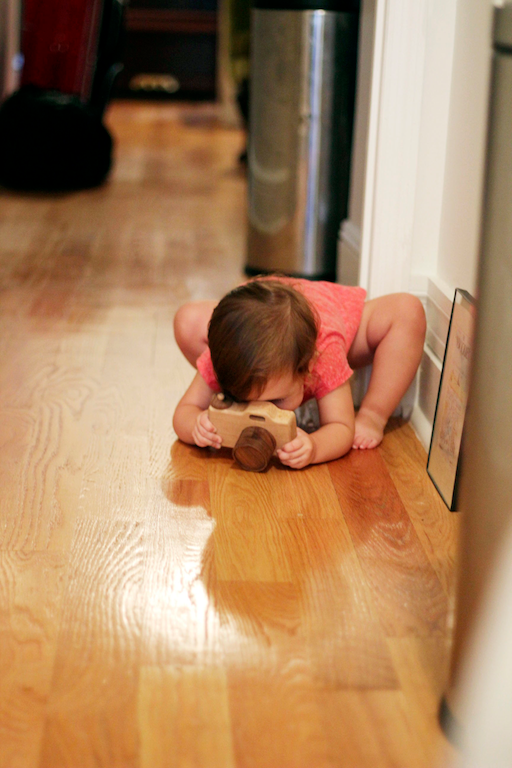 i’m tempted to give into it all and buy her a little disposable camera to take around with her. maybe when she is a little bit older and can really process it all. 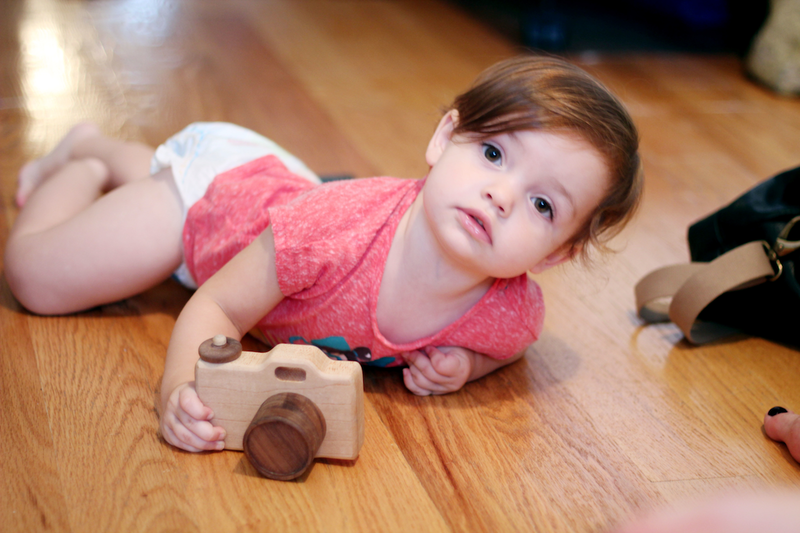 Looks like she has a good artistic eye for photos the way she is artistically capturing the grains in the hardwood floor! :) so cute! So cute! I love when kids start mimicking adult mannerisms, haha. p.s. my daughter dahlia has the same zara t-shirt! I need to know where you got that camera!!! I love it! I am " Nutella " and i am Poland . I love your's blog .